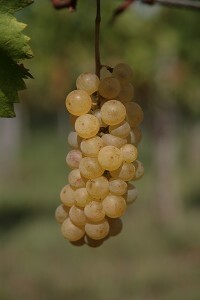 For a long time white wine had the main role on our farm but lately we are focusing on the red wine more and more. Year 1991 was a landmark because until then we were only selling season wines but that year we started with a new philosophy and vineyards restructuring. This mainly meant more densely planted vineyards (6000 – 7000/ha), lower crop per vine (ca. 1 kg/vine) and omission of fertilizers, insecticides and herbicides. Wines became different since they obtained natural stability and long life ability. Wine made that way matures in the cellar with no need of our help and contains no additives except sulphide. It is bottled without filtration as our goal is to maintain everything that naturally comes from the grapes.